Lewis Rice member Pamela E. Barker was appointed by the President of the American Bar Association (ABA) as one of eight members of the ABA Task Force on Sustainability Financial Disclosures. The Task Force was created out of a need to make recommendations to the Board of Governers regarding sustainability reporting. Given the lack of clarity around sustainability reporting, the Task Force will play a critical role in offering guidance and addressing these issues in a collaborative and systematic way. 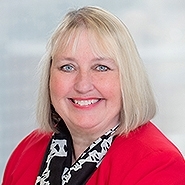 As the Immediate Past Chair of the ABA's Section of Environment, Energy and Resources, and with more than 25 years of environmental law experience, Pam is particularly well-suited to assist her clients with regulatory compliance and with the environmental aspects of real estate and corporate transactions. Pam has managed the legal aspects of brownfield projects, dealt with federal and state agencies on compliance and enforcement issues, and assisted clients in managing environmental litigation.